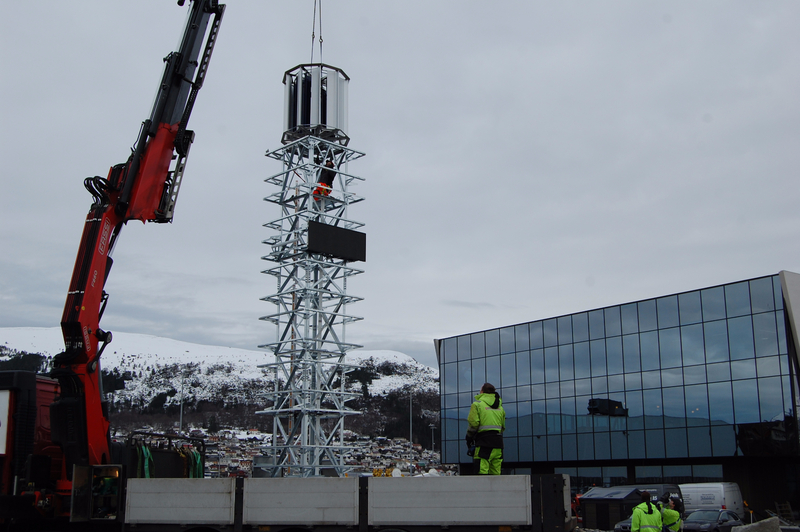 Hareid Group - News - Finally, our Smart Tower arrived! Hareid Group has invested in a Smart Tower. The Smart Tower is placed next to the new administration building in the Municipality Hareid. The Smart Tower will produce electricity.